I'm notoriously-slow at build projects. They're more like 'go tinker in the shop since all your other chores are done' sort of thing. We do have the never-ending C Prepared Firebird (the gift that keeps on giving, as a friend once said) development project, and also have a restomod project going on with our 86 Mustang SVO that served us well when we first got serious autocrossing. We got even MORE serious, buying a dedicated race car, so the SVO got retired, and the restoration/modification started..... back somewhere around 2002. :-/ You can visit the SVOCA web site, in the projects section, if you want to see any of that. So here I start another 'build' thread. It is probably a good spot to put info on what we've done to the car, and chronicle the work, so I can again, get depressed at the slowness of the progress. 1. Replace all of the plugged radio antenna holes with old antennas. They seal better, and look a bit more 'official', but mainly seal better. Not sure if we'll ever get them properly-plugged, we haven't done so on the 92 B4C Camaro yet. 2. 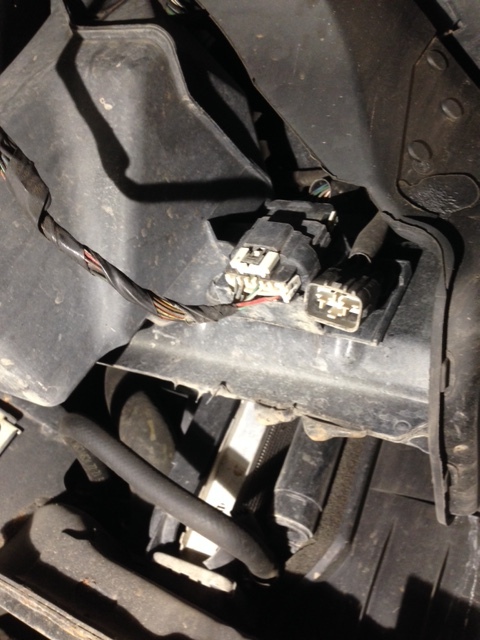 Replaced the plastic plug that was used for the light bar harness with a GPS antenna. It's not functional.... yet. But again, seals better than the plastic plug they had siliconed into place. 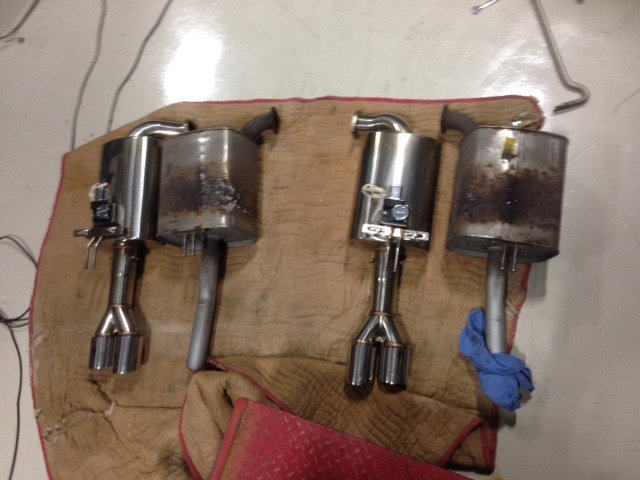 Many thanks to Garner Ames for the old parts! 3. 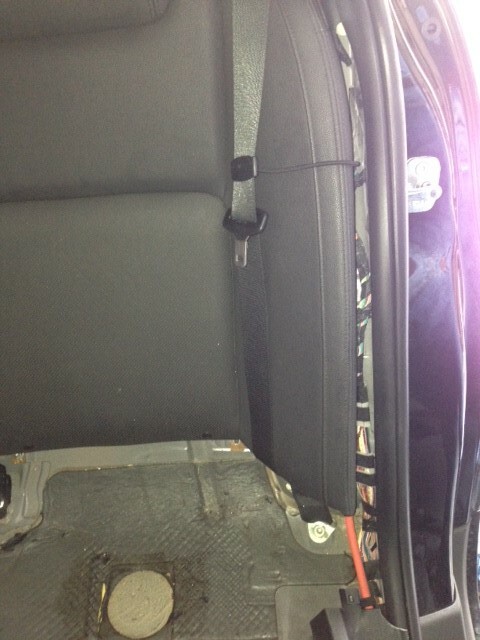 Replaced the rear seats with G8 units that included the pass-through. 4. 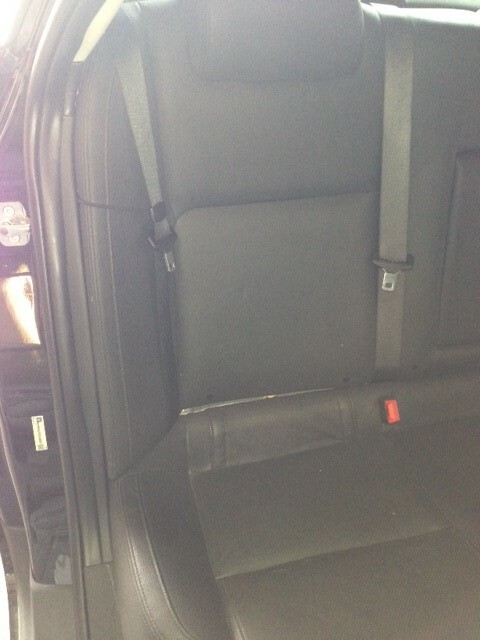 Replaced the rear seat belts that were simply cut to make room for the 'perp seats'. Again, Thank You, Garner Ames for the working belts. 5. 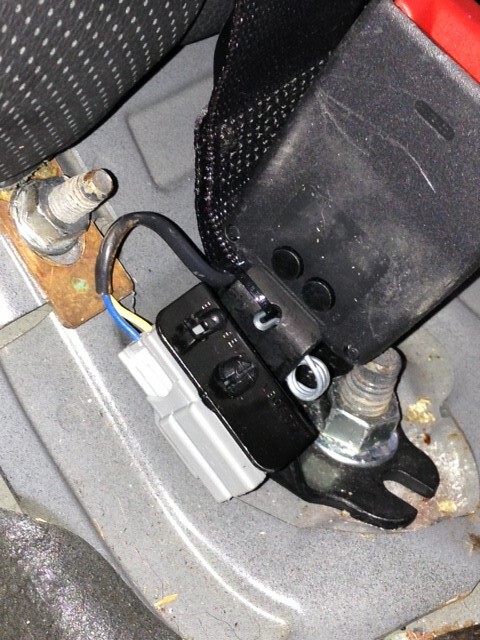 Reinstalled a working 'ticket light' that was removed by the department when they retired the car (removing that $20 light, yet leaving the $90 radio antenna on the deck lid). Anyway, I just wanted to seal the big fat hole in the headliner. 6. 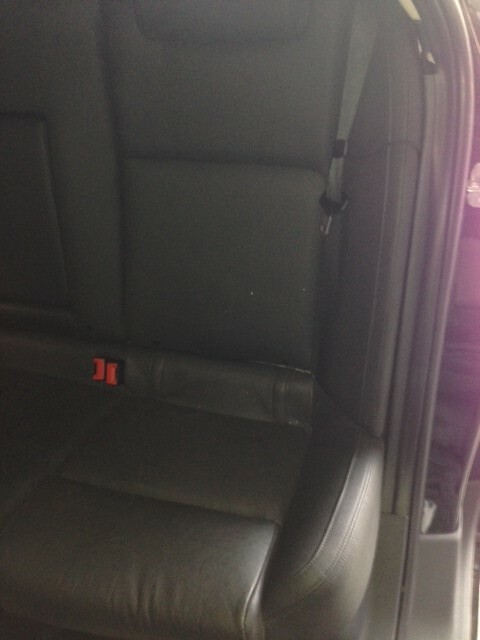 Installed the 'JC' handles in the rear passenger area. 7. Replaced the B-pillar panels with new ones to get rid of all the holes drilled in the OEM units to facilitate the partition. The driver's side, though, I drilled holes to fit my Texas Custom Holsters holster for my carry weapon. 8. Re-enabled the rear door latches and window switches. 10. BC Coilovers installed on all 4 corners. The car is dropped about 1.5"
11. BMR rear sway bar installed. Waiting to do the front one when I take the rest of the front end apart for other work. 12. Installed AEM intake tube, wrapped in DEI Insulation wrap. 14. Replaced the rear trunk area trim panel that was broken when we got the car. 15. Replace the headlights with Opt7 LEDs. 16. Replaced the factory steering wheel with a leather G8 unit. That's about all I can think of, to date. It's been fun, and I still have a big pile of parts in the shop to install when I get time. Last edited by CrashTestDummy on Wed Oct 31, 2018 10:18 pm, edited 2 times in total. I was conflicted on whether or not to put this one in the interior section, or add it here, but figured I could add it to the build thread now, and link it to the interior section later. The plan this winter was to take off the last couple of weeks on vacation, and get many car projects completed; install an oil pan baffle in the Firebird, install the exhaust system, driving lights and LED fog lights on the Caprice, hopefully getting time to at least start the CTS brake conversion. There were, however, other plans for us afoot. We discovered a tumor on one of our 4-legged kids earlier this month, so about once a week, we've been shuttling her around to different doctors to get opinions and come up with a game plan. The latest is a specialist who's about an hour away. So, with my wife starting her new job, I'm playing taxi driver, which means the car has to be available most of the time. I can't throw it up on jack stands and start tearing the car apart at my leisure, quitting work when I get tired, or hungry, or thirsty. So, the work will progress in smaller steps, making sure we don't leave the car down when ending a project. The current plan of action is a ultrasound at the end of this week, then surgery next week, followed up by chemotherapy. Hopefully we can get her a few more years with this. Man plans, God laughs, right? 92172480 right side Carpet Retainer oddly, about $55! To replace, you pull the rear seat bottom, pull the outside seat back sections (if you still have the OEM rear seat, the entire seat back has to come out). 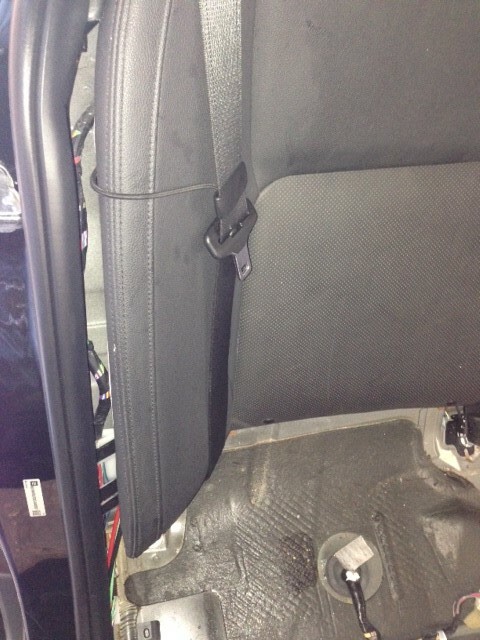 It also helps to remove the Lower door sill panel, the 'Carpet Retainers' mentioned above. On the passenger's side, I had to maneuver the wiring a bit to keep it from getting under the lock pillar trim piece when trying to get it positioned. Couple of hits with the palm of your hand to set the clips, and they're in! There's one screw that attaches the lock pillar trim to the lower sill trim, but that's it. Replace the seats, and Bob's your uncle! The look is very subtle, but it makes the car look very complete back there, and I'm no longer annoyed at the 'great gap' I saw when getting into the back of the car. I did notice that it looks like they cut a small chunk out of the lower quarter window trim, and may go ahead and snag a replacement, since they're still available, and not terribly expensive (~$55), I'll have to have another look at that area in the daylight. It has a 2-connector plug on it, with blue and yellow wires. There's no corresponding harness there on our car, and I don't see any mention of it in the seat belt R&R steps or illustrations in the FSM. It's quite possible that this buckle came from a later car, but I don't remember. Anyone know what that's for? Just curious. At least those plastic parts were still available! Pri 1 is to take care of that fur-baby - keep us posted. Bill, indeed they are. I'm buying as many 'spares' as I can while I still can. I'm just complaining about the lack of time to get 'er done. Everyone does! But yes, the kids come first, and she arrives in style in the Caprice. NOTE: The really bad thing is the car has so much interior space that you can't reach back and rub her chin. When that doesn't happen, she'll be rolling in in a PPV Tahoe. I'll say that the parking is sort of a shared space, and I overheard the people at the front desk trying to figure out who is parked for the Veterinarian, and who isn't. They made no mention of that 'cop car' parked in their space. And another thing, some department in the Sugarland, Texas area uses Caprices. While waiting for the 'mighty' S-class Mercedes to GTF out of my way, I saw a black Caprice pass the intersection. That Caprice was parked near the entry ramp where I got on the freeway. It had almost as many antennas as our 'porcupine' has!! Off and on, I've had some ask about my solution for the holes in the car. I simply located some old low-profile antennas, popped out the plastic plugs cleaned the silicone away, and installed the antennas. They all have a brass base, and o-ring that seals the antenna to the body. I feel these are the better way to go. They ARE expensive, though, if you buy them new. I paid about $70 each for the two I put on our Tahoe PPV. I purchased them from radio-accessories. For the Caprice, though, I got lucky, and a member of this list had some old take-offs of retired service vehicles. In that stash was also a GPS antenna, which is about 4" in diameter. 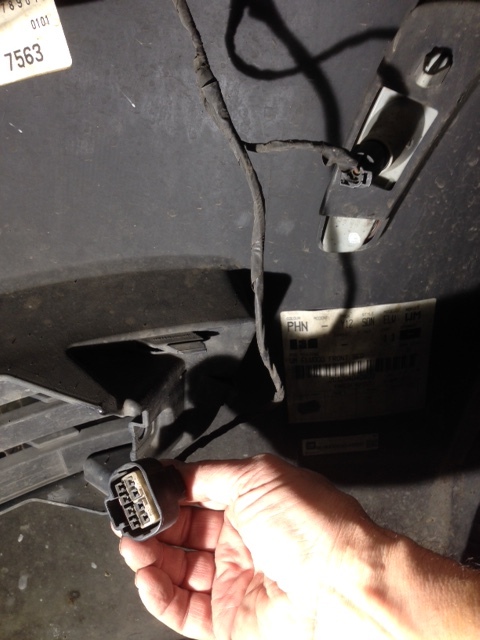 It was needed because the hole they chewed into the roof for the light bar was about 1" vs. the 'standard' 5/8"(?) hole for the antennas. 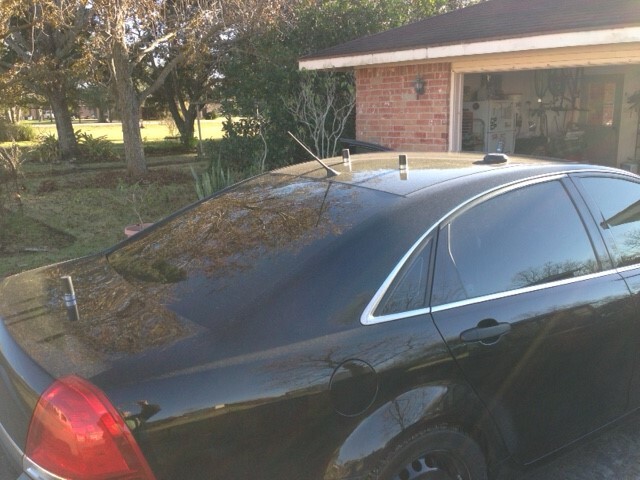 I was also lucky that the department didn't remove the trunk lid antenna when they retired the car, so it was one less hole to have to worry about. 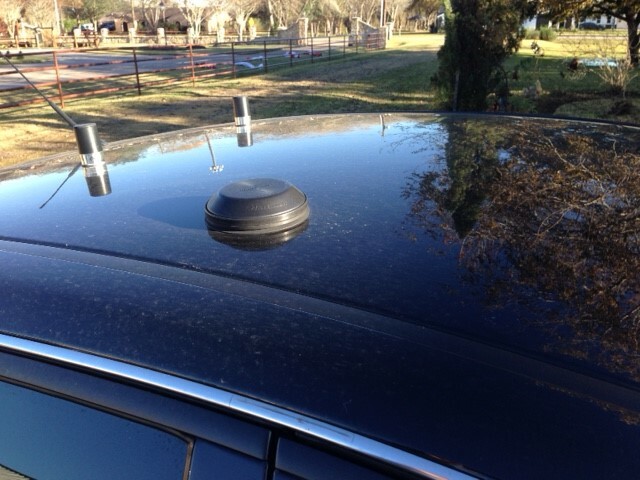 For the regular antennas, it was a 'simple' matter of pulling the door seal out of the way and getting between the headliner and roof panel to tighten the nut that held the antennas to the car. The term 'simple' is in quotes because the headliner is a pretty stiff piece of board and there's kind of a ridge you have to snake your hand around to get into the interior. Luckily, I hadn't competed the JC handle install yet. For the GPS antenna, I had to add a large diameter washer, as the mount was the same size as the other antennas, even though it went through a bigger hole. For those interested, the GPS antenna is a Millennium antenna. No clue where to actually get one, though. I had a couple of those wide ones I pulled off when stripping cruisers, but I tossed them, not thinking someone could use them. I occasionally do get PMs of people asking where I got that antenna, so yes, there can be a small market for those, because a new antenna isn't cheap! Re: Yet another endless build for me. This time on the Caprice. We usually take time off at the end of the year to blend vacation time with holiday time to get more bang for the buck, so to speak. While off, we usually work on some car projects. This year, we started with a motor mount replacement and spring spacer install on our Tahoe PPV. Motor mounts are a common fail item (at least the driver's side) and we had a bad one on the truck for a while. It caused a popping noise up front when accelerating from a stop, and a shudder that would cause the cracked bits in the dash to rattle when slowing to a stop. We have a guy coming tomorrow to replace the cracked windshield in it, and then it's off for a front alignment. That should have it fixed for a while, I hope. We then tackled a battery relocate on the race car. That took a while, but was pretty drama-free. It's back on the trailer ready for the 2019 autocross season start, which is this Sunday. Whoever came up with that 'captured nut' thing to secure the front bumper cover to the fenders should be shot with a barrel load of the things. Those bare steel nuts, and a few years in service north of the Mason-Dixon Line will result in that bare steel nut becoming one with the bumper cover! We finally got the dang thing off, but it wasn't without significant effort. I'll clean the nuts and hit them with some RPM so that hopefully fixes the rusting issue. Note that there are no pins in the body-side connector. I suspect I'm missing something. Not a big deal, though, since it's the side markers, but it would be nice to have them working again. When I grabbed the box of kit parts that Steve provided me, I discovered that the lights themselves were NOT in that box. Note that Steve's kit does not include the lights, but I thought I had gathered everything and put it in one place for the assembly time, once that arrived. I guessed wrong. After a few HOURS searching the shop for the things, I gave up and moved on to other projects. The LEDs are in, but I'm also out of sufficient wire, connectors, conduit and switches for that project. We'll get that stuff when we head out to get the Tahoe alignment done. Whoever came up with that 'captured nut' thing to secure the front bumper cover to the fenders should be shot with a barrel load of the things. Thanks for the updates, the Xforce system looks great. 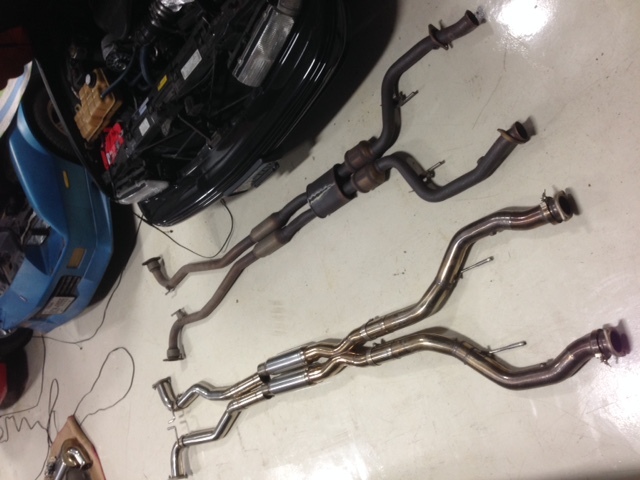 Your stock mufflers look about as whipped as mine. Where did your car originally hail from? IIRC, Wisconsin Highway Patrol. Some rusty bits, but otherwise in good shape. The exhaust to muffler expansion joints and exhaust to muffler bolts seem to be the worst for wear, but otherwise not too bad. Those silly ‘captured nuts’ for the front bumper cover to fender connection are still available, so I ordered a new set with the fog light order.